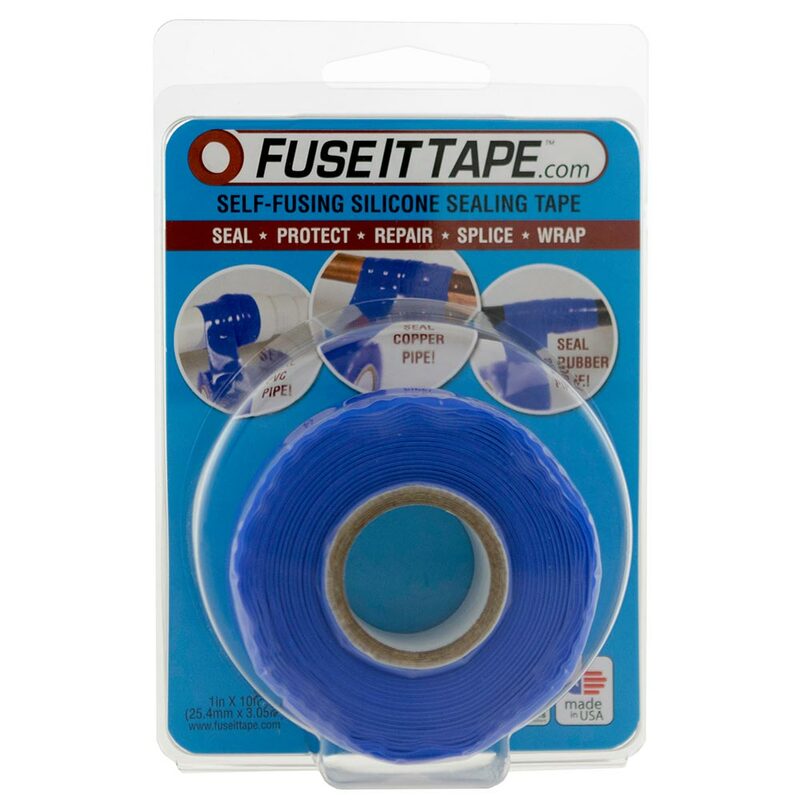 10 rolls of Fuse It Tape™ self-fusing silicone tape. Buy one, get one free. For a limited time. Add 2 of the same item to your cart, and the free roll will be applied automatically during checkout. 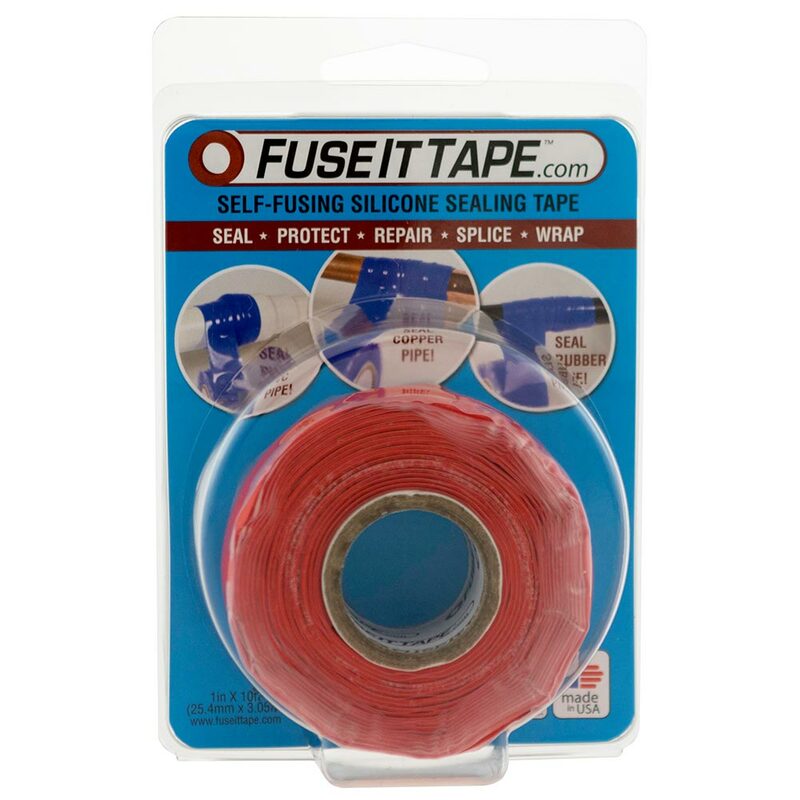 With a tensile strength of 1150 psi, you’ll enjoy a superior, tougher tape that is up to 64% stronger than other brands. You save 20% / $7.98 per roll. 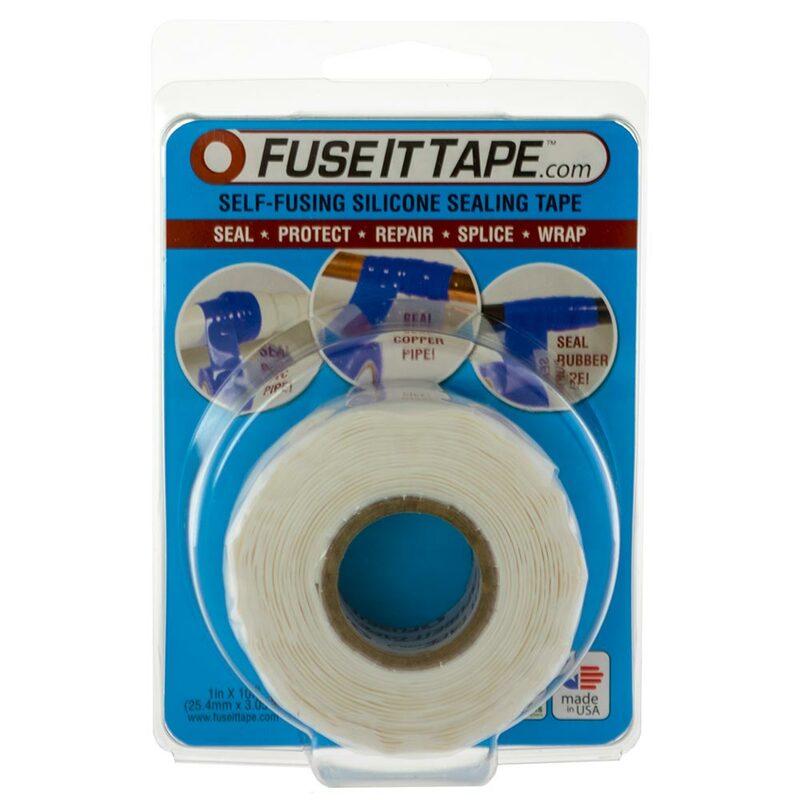 Each roll is 9.9 feet of tape, but it stretches to many times that length during application. 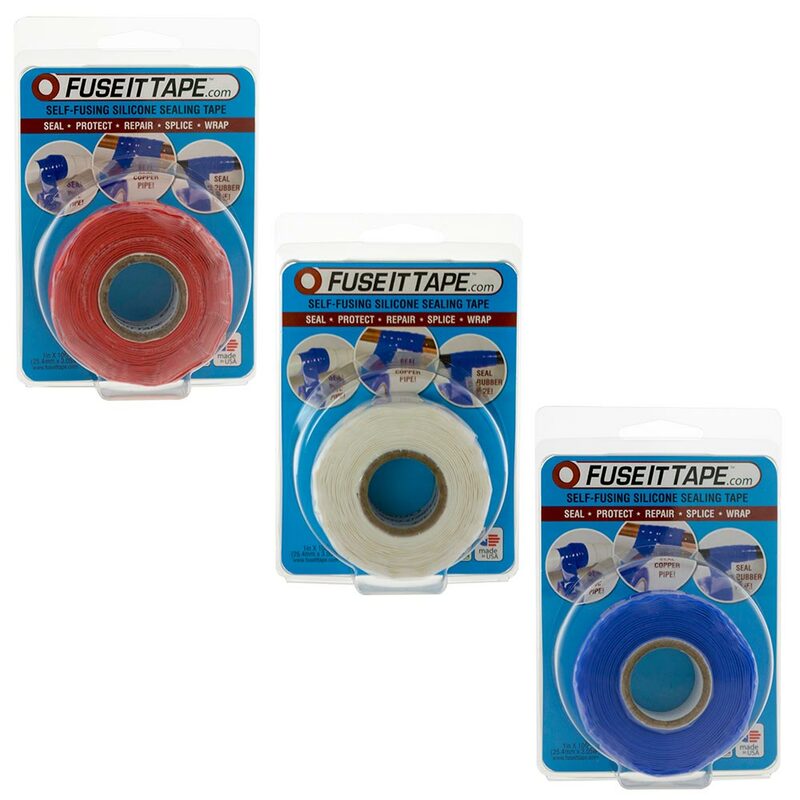 Black, White, Clear, Blue & Red are currently available. Additional colors are on back order.